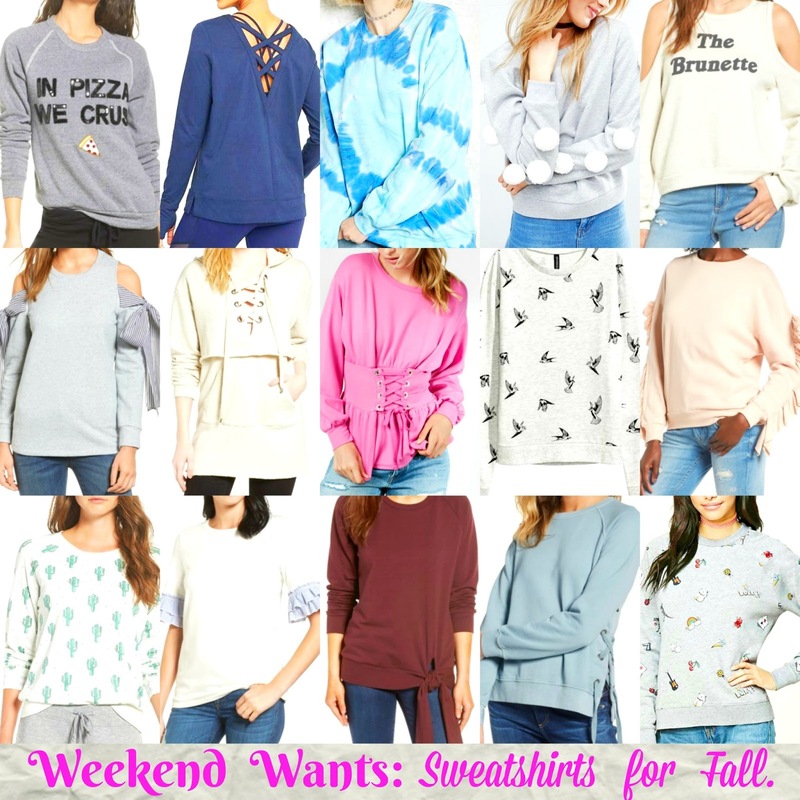 Weekend Wants: Sweatshirts for Fall. 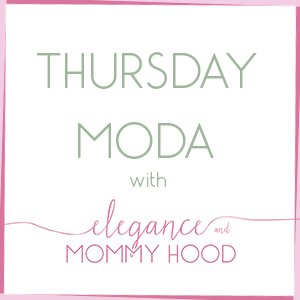 One thing I have been loving more and more the last few years - especially since I became a mom - is sweatshirts. They are easy to wear, super comfortable, the perfect year-around piece for those mom days when you have your kids in tow and running errands. Plus, if styled the right way, they can be super chic. And let's not forget that athleisure wear has been such a hit in 2016 and 2017 and this 'trend' is not going anywhere, anytime soon. Sweatshirts are a huge part of athleisure. But they are also a huge part of everyday life. Women cannot be dressed to the nines and standing on 4-inch heels all day long. More than ever before, sweatshirts are perfect to wear from the gym to dinner. Sweatshirts can be super elegant while keeping you warm and being super comfy and cozy at the same time. And sweatshirts cannot be defined to school teachers, college students, school logos and favorite sport teams anymore. Anyone can sport a sweatshirt. Sweatshirts are not just for lounging at home, doing garden-work, sipping your coffee at the front porch or layering over your gym threads, anymore. Sweatshirts nowadays are not just your once-upon-the-time heather grey plain sweatshirt. They have many many fun details, like my picks on the collage below, also prove. Fun prints like lemons, flowers, cactuses, birds, palm trees, geometric patterns, bananas, strawberries, bears, camouflage, etc, etc. They can have sequins, pom poms, tassels, sequined changing faces, fringe, etc. Other details include statement sleeves like cold-shoulders, one-shoulder, asymmetric ruffles going across, ruffled sleeves, lace-applique sleeves. They can also be studded, laced-up (in the neckline, off each side, on the back - you name it). I also love the knotted-in-front or knotted-on-the-side look. And sweatshirts nowadays, are not only in neutral colors like grey, navy, black, cream and beige as we are used to seeing them. How about this hot pink beauty, or this blue tie-dyed one, or this one that I own in mustard (and it is super comfortable) - it also comes in burgundy. Sweatshirts are not just for the sporty gals anymore. They can be girly and super feminine and can be worn to the office with a pencil skirt (and if it is Friday pair them with sneakers), like this light pink sweatshirt with frilly sleeves, or this mixed media piece with ruffled short sleeves or this one featuring oversized bows on top of cold shoulders which is super gorgeous. 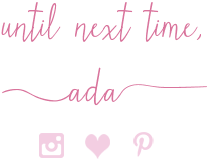 All of these three I just listed are so cute with that fancy, dressed-up factor. A classic hooded sweatshirt with pockets has also been updated and upgraded into a dressier piece. 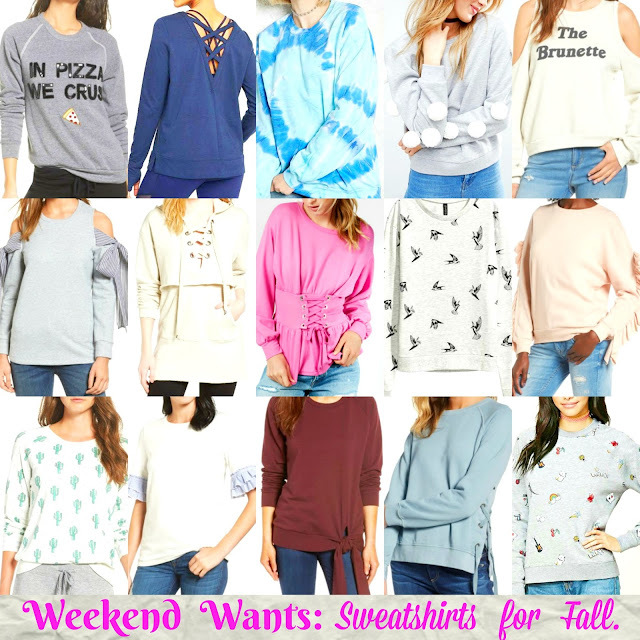 Below, I found not one, not five, but 15 super adorable, beautiful and affordable sweatshirts for you. I wish all of these would appear in my closet magically. I promise I would rotate through them each day for Fall!! Lattice-Back Beauty (so cute and such a steal! Perfect for a workout, too). Tunic with Pockets (such a great piece, will make a great lyer for Fall and Winter, too). Tied in a Knot (I own this one in mustard; runs a little big).